It’s been a long time and hundreds of miles later, but we remember our days at Sweet Home Vallejo! Chatmon’s Books is the only bookstore of its type because it’s mobile and in Vallejo. In order to avoid overhead costs and remain accessible, the owners sets up shop at the Vallejo Farmer’s Market on Saturday mornings from 9 am until 1 pm. The bookstore became popular quickly with affordable used and specialty books, ranging from $1 to $15. I am co-owner of Chatmon’s Books. Charles Chatmon, my husband, operates the bookstore. If you read my entry about Chatmon’s Books at the Juneteenth celebration, you can probably understand why I was the featured author. It’s a form of vertical integration, don’t hate. Both Charles Chatmon and I are authors. Charles is the author of two volumes of poetry – The Voices of South Central and The Depths of My Soul. I am the author of Shades of Retribution. By the way, my name is Chandra Adams. I love to read and write, and have had a long-time dream of owning a bookstore. It’s probably becoming obvious that I do love Vallejo. The city is beautiful, most of the people I come across are very nice and down to earth. Before the economic meltdown I was out at the Farmer’s Market and Wednesday Night Celebration hot and heavy with my book. I am not much of a salesperson, but I am friendly and approachable on most days and those two attributes helped enormously with my book sales. I did receive somewhat of a forewarning about economic conditions when I started noticing my book sales decline after a year or so of getting my name out there. At that time I realized it was time to shift gears and get back to a full-time job, and thank goodness I did. 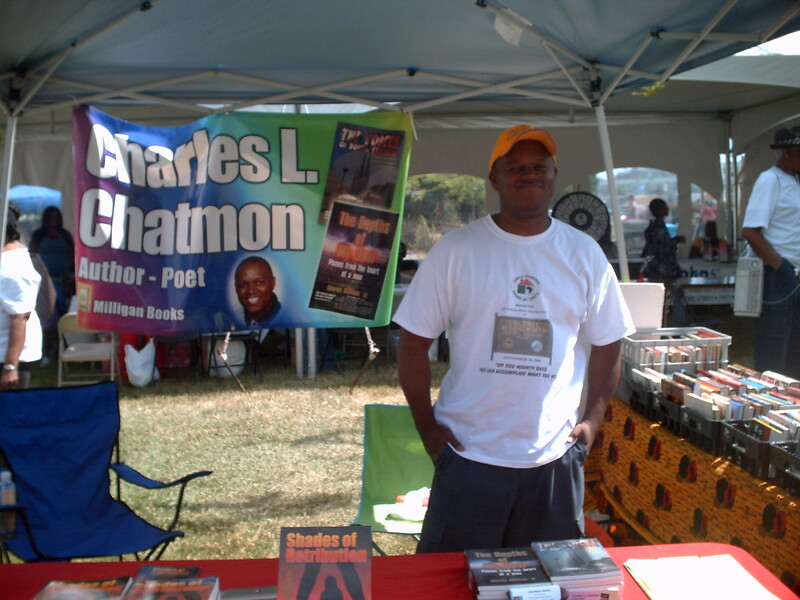 A year or so later, Charles moved to Vallejo from Los Angeles, and with a little teamwork, we conceptualized Chatmon’s Books and have seen it grow into a thriving reality. One thing I have learned from owning a publishing business is to grow business steady and slow. I managed to pour a lot of heart and money into my book and its promotion, and if I had the chance to do it all over again I would probably focus a lot more on the heart aspect and a lot less on the money. I certainly don’t regret any of my experiences or my investment, but I can certainly see why business experience is important in being successful. With that said, we continue to build Chatmon’s Books slowly but surely. Research into our demographics has discouraged any semblance of a large chain bookstore from coming to town, but I think the opportunity to offer Vallejo citizens an alternative to the library is important to the city’s progress. P.S. : Since this entry was published on the Sweet Home Vallejo website, the city gained one new bookstore as of this year, 2014. Children are all invited to witness a battle between two great powers in the sky in order to find out who beats who. Middle school teacher, poet and now a published author, Mary E. Evans shares a playful picture book that will entertain children of all ages. Readers are invited to witness the biggest event in the sky as Thunder and Lightning battle it out to determine who beats who. Simple in nature, Evans’ “Thunder and Lightning” is fun to hear or read aloud, and exciting to view through the amazing illustrations that capture each of the character’s emotions and behaviors throughout the book. A rhyming picture book filled with beautiful illustrations and catchy lines, this tale has that infectious cadence that entices both parents and children to learn more about the intriguing battle between the “Thunder and Lightning.” Full of rich literary devices, many teachers will enjoy incorporating “Thunder and Lightning” in a creative writing or poetry unit at many grade levels, as well. Members of the media who wish to review this book may request a complimentary paperback copy by contacting the publisher at (888) 795-4274 x. 7879. To purchase copies of the book for resale, please fax Xlibris at (812) 355-4079 or call (888) 795-4274 x. 7879.